Polling for the first phase of 2019 Lok Sabha and Assembly elections is still underway in Andhra Pradesh but violence has been reported from multiple parts of the state. Till 3 pm, the southern state saw a voter turnout of 55 percent for the 25 Lok Sabha and 175 Assembly seats on Thursday. 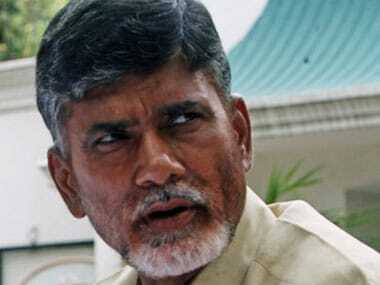 Two people, a ruling Telugu Desam Party (TDP) worker and another belonging to the main Opposition YSR Congress were killed in Anantapur district in a poll-related violence. The TDP worker, identified as Sidda Bhaskar Reddy, was hacked to death at Veerapuram in Anantapur’s Tadipatri constituency. YSR Congress' Pulla Reddy was also killed in the clashes in which party workers pelted stones at each other, according to police sources. 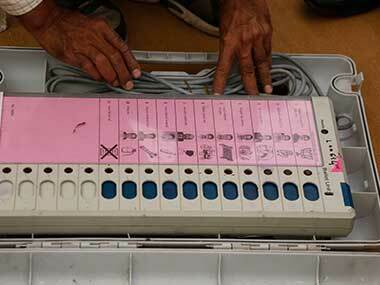 In Guntakal, former MLA and a Jana Sena Party candidate, Madhusudan Gupta, smashed an EVM in a fit of rage alleging that party symbols were not properly printed on the ballot unit. A mandal parishad member of YSRC was seriously injured when TDP workers allegedly attacked him at a polling station in Eluru city. In Jammalamadugu in Kadapa district, tension prevailed in Ponnathota village as YSRC and TDP workers indulged in stone-throwing. 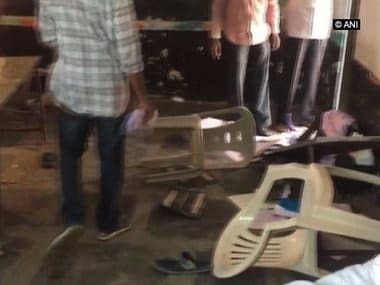 In Narsaraopet constituency in Guntur district, YSRC leaders alleged TDP men ransacked a polling station in Yelamanda village and damaged the furniture. Police personnel were also preventing YSRC sympathisers from entering into the polling booth, they alleged. Minor trouble was also reported at a few other constituencies in Guntur, Prakasam and Anantapuramu districts as well but neither the election authorities nor the police confirmed the reports. State Chief Electoral Officer Gopal Krishna Dwivedi, however, said polling peacefully conducted across the state. In a statement, the CEO asked people not to believe in rumours as the poll process was going on peacefully. Countering this, the YSRC alleged that followers of local TDP MP and MLA, the JC brothers (MP JC Diwakar Reddy and MLA, JC Prabhakar Reddy), tried to rig the votes in a polling booth at Veerapuram.